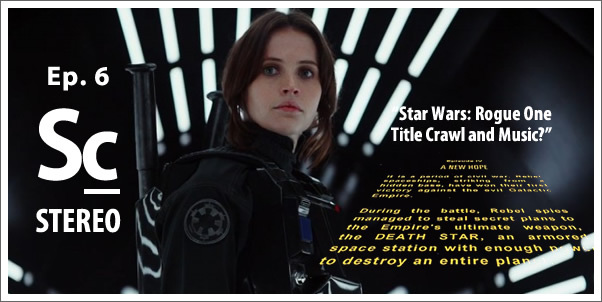 Episode 6 - "Rogue One - Title Crawl and Music?" This is ep. 6 where Chris makes a big announcement and then he and Erik discuss the possibility of Rogue One: A Star Wars Story NOT including the classic Star Wars title crawl and famous John Williams music and the possible repercussions. Soundcast Stereo episodes are two channel, 30 minute conversations about a single topic from the world of film, television and game soundtracks. 19:55 - Tone, Tone, Tone! 30:14 - Is Lucasfilm trolling us?